ATHENS 2005 � After the success of the 2004 Olympics, the SWATCH-FIVB World Tour returns to Athens to capitalize on the success of the Beach Volleyball competition at the Summer Games. 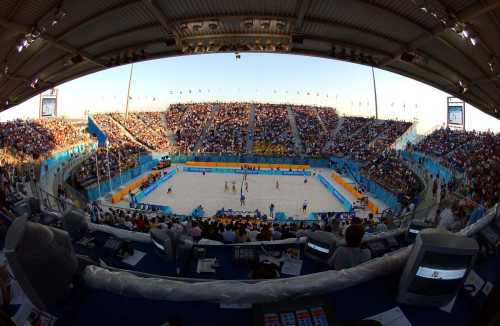 The 2005 stop will mark the third international Beach Volleyball competition at the Olympic Beach Volleyball Centre in the warm and sandy environment of South Attica, at the Faliro Coastal Zone. 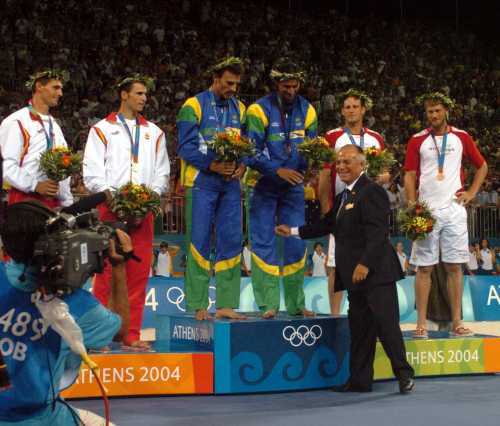 Prior to the 2004 Games, Athens staged a test event where Riccardo Fenili and Fabio Galli of Italy defeated two-time Olympians Vegard Hoidalen and Jorre Kjemperud of Norway in the finals. Home of the golden age of Greece when Pericles had the Parthenon (the most eminent monument of the ancient Greek architecture) built, Athens is built around the Acropolis and the pinnacled crag of Mount Lycabettus. Athens, a city of more than four million inhabitants, is packed with lively taverns and bustling shops. Dominating the Athenian landscape, the Acropolis is unsurpassed in its beauty, architectural splendor and historic importance. And the success of the 2004 Summer Games also marked another historical achievement for the birthplace of the Olympics. Women � There will be a �touch of the Olympics� when the women�s SWATCH-FIVB World Tour returns to Athens after the success of the 2004 Summer Games. The event will be the fifth �open� FIVB for Greece as Rhodes hosted the women�s international tour the past three seasons where Olympic champions Misty May and Kerri Walsh won 2004 titles. 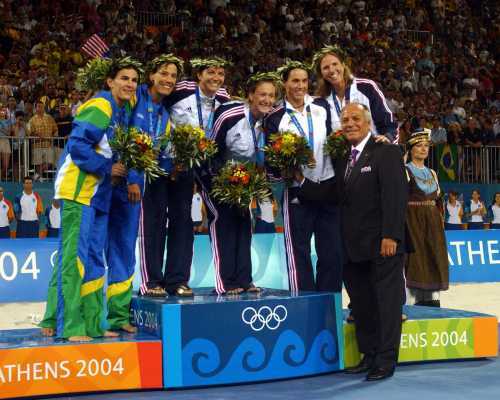 Ana Paula Connelly and Sandra Pires won the 2003 Rhodes gold medal with Holly McPeak and Elaine Youngs the 2002 winners. Xylokastro hosted FIVB challenger events twice where Lina Yanchulova/Petia Yanchulova of Bulgaria (2000) and Rong Chi/Zi Xiong (2001) of China won titles. Vasso Karadassiou and Efi Sfyri, who placed second in the 2000 Xylokastro challenger, was third in the 2002 Rhodes event for Greece�s best finish as a host country. Pic (left to right): FIVB President Ruben Acosta with Shelda, Adriana, May, Walsh, McPeak and Youngs. Men � With the �afterglow� of the 2004 Olympic Games, Athens hosts a men�s SWATCH-FIVB World Tour event. Dain Blanton and Jeff Nygaard won a 2003 �open� event in Rhodes while Fabio Galli and Riccardo Fenili of Italy won a FIVB challenger event in 2003. Pic (left to right): FIVB President Ruben Acosta with Bosma, Herrera, Emaneul, Ricardo, Kobel and Heuscher.